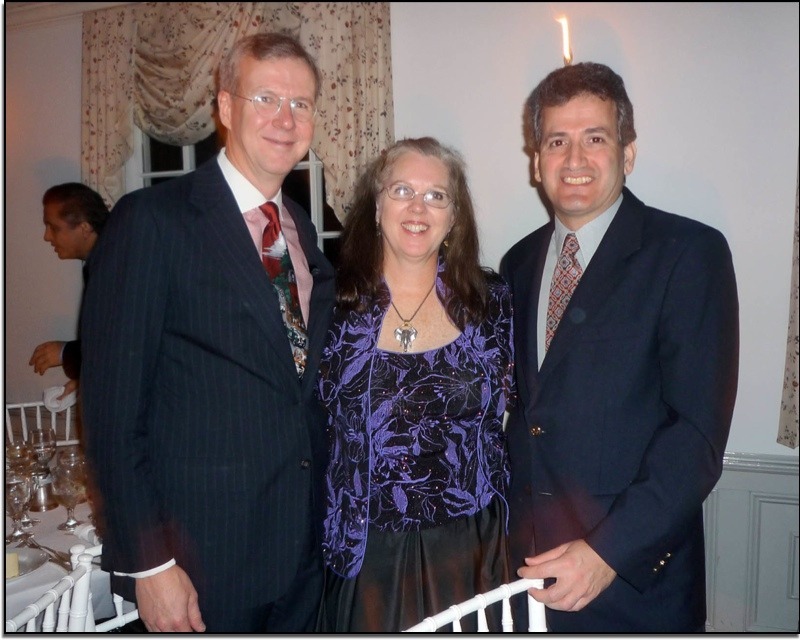 The NYAROC annual Awards Dinner and 25th Anniversary event was held on November 14, 2009 at the historic George Washington Manor in Roslyn, Long Island. On this special evening we were fortunate to have both co-founders of our chapter in attendance. 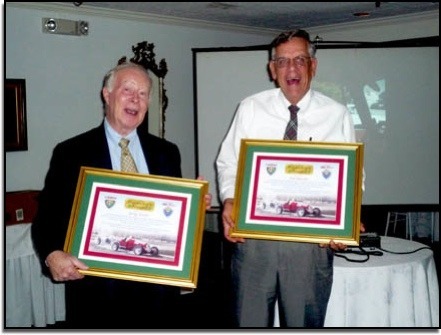 Co-founder and first President Tom Muccino (LIAROC) flew in from Arizona and was presented a Founders award along with our other co-founder and current Treasurer George Pezold. 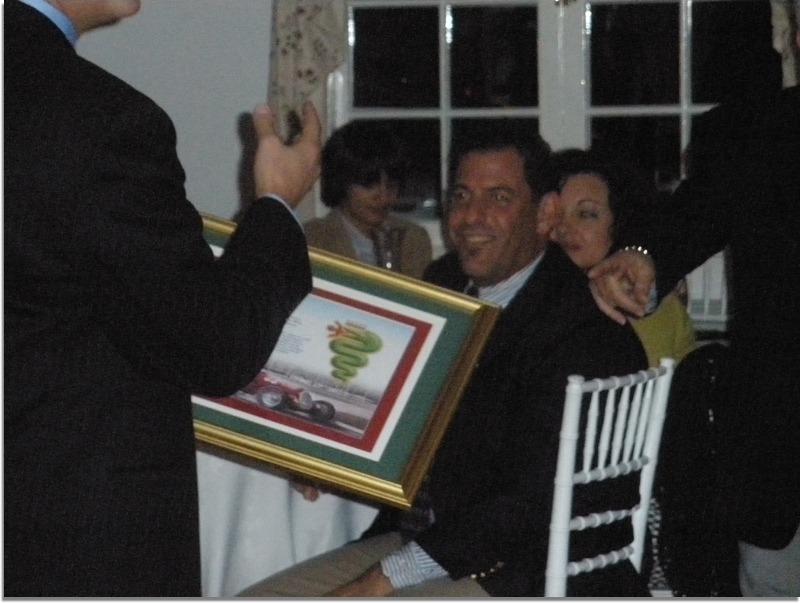 Lou Grasso, a long-serving Director, was presented with an outstanding handmade Alfa model which was an artistic rendition of his beloved spider. Lou also was inducted into the "Order of the Serpent" in recognition of his many contributions to our club. Our very successful evening was the result of the considerable efforts of the event group which was headed by Dino Pappous. 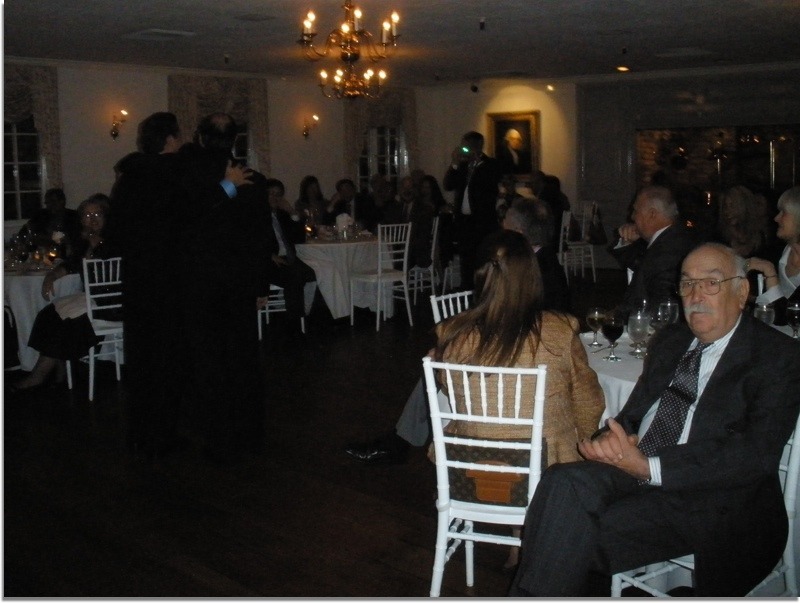 Dino also performed, along with our President George Linton, the very entertaining MC duties. 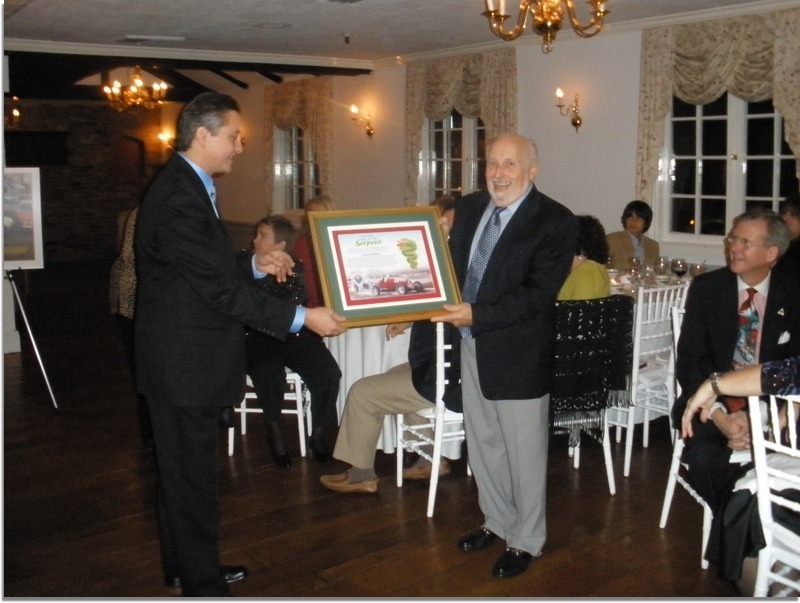 A special thank you to past President Harry Krause for creating and presenting the photographic gift for Tom Muccino. This was a truly wonderful evening. We remembered our recently departed members, past President Enzo Rella and Director Donald Tsakis. 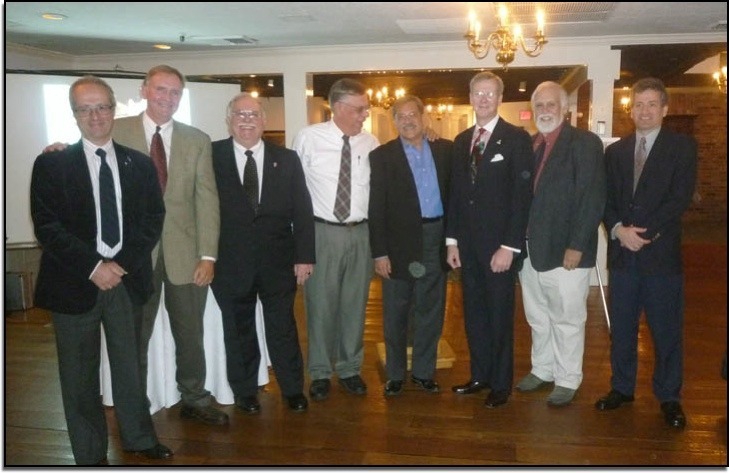 We honored our club Presidents and, incredibly, eight were in attendance: Tom Muccino, Harry Krause, Briggs Cunningham, Frank Gesualdo, Frank Sapienza, Harry Nicolaides, George Linton and Vic Cerami. It was great to see the long-time members attending including current Club Secretary John and Cornelia Catera, Joel and Cammy Belser, Irv and Maxine Wolberg, Mike and Linda Bange, Alan Elton, Frank Como, Mike Intintoli, and Director David Rivkin and Susan.